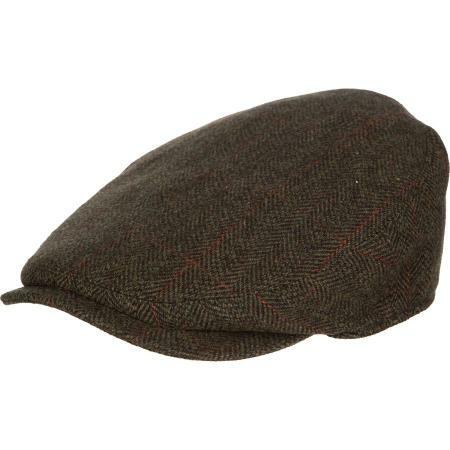 Barbour Gamefair Waterproof Flat Cap in a choice of 4 shooting tweeds. Being waterproof, the Barbour Gamefair traditional flat cap is a perfect companion to active days in the country. It’s crafted with a 100% wool tweed outer and a quilted satin crown lining for superb comfort. Coordinates perfectly with the Barbour Countrywear collection. •Sizes: 6 7/8" - 7 5/8"
MHA0347OL71 Dark Olive - An olive shooting tweed with burgundy and powder blue over check. MHA0347GN71 Olive Check - An olive and brown herringbone tweed with an orange over check. MHA0347OL51 Medium Olive - A brown herringbone tweed with damson over check. MHA0347OL91 Darkest Olive - An olive herringbone tweed with damson over check.SALE!